This photo was taken moments after Lana's family returned her to a boarding kennel - a place that she knew all too well. "Lana was terrified of everything," Dahlia Ayoub of Mighty Mutts tells The Dodo. "She was literally the size of my hand." And then those guarding issues - from when she was a puppy and had to compete with siblings for food - suddenly surfaced. "She snapped at the mom," Ayoub explains. "And they decided because they have kids in the house to bring her back to boarding." Ayoub describes Lana as "silly, sweet." She's great with other animals, and the above incident was the only time her guarding instinct surfaced. 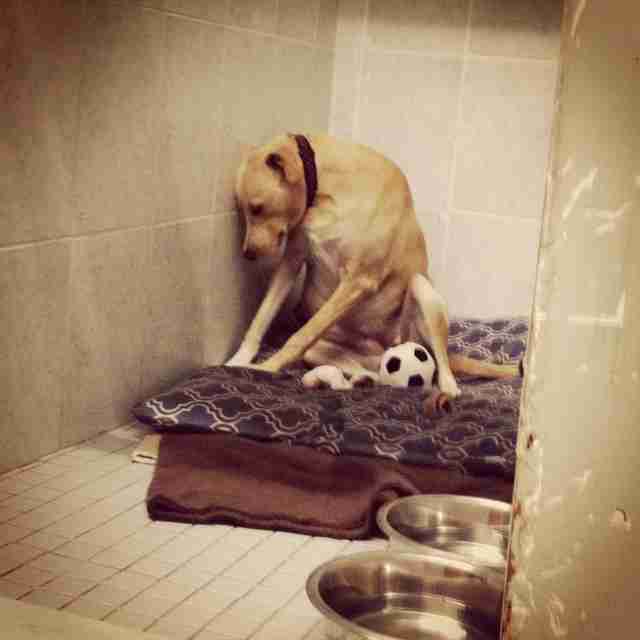 Yet, Lana was returned to the kennel. "She just shut down," Ayoub says. "It's almost like her world shut down." "I wanted to see if she would be scared of me. I went back there and said, 'Laaaaana! Hey, what's up?'" "I know there's a family for her out there," Ayoub says. 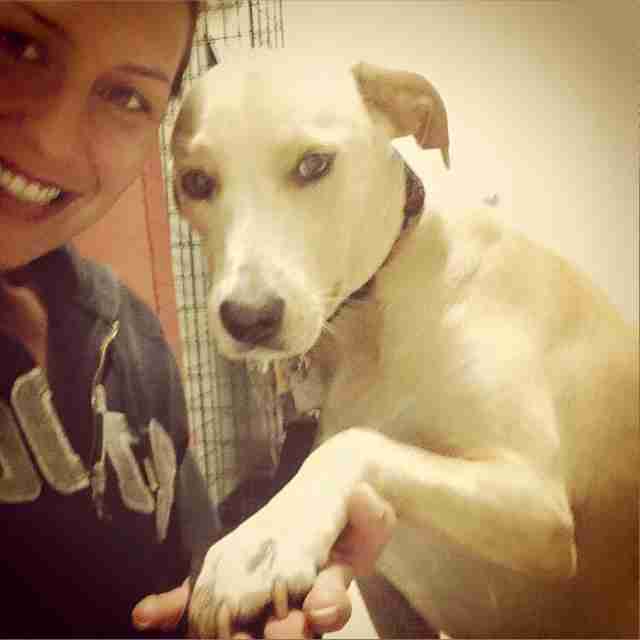 Lana is currently in the care of Rescue Dogs Match. If you're interested in fostering her or another dog, click here.